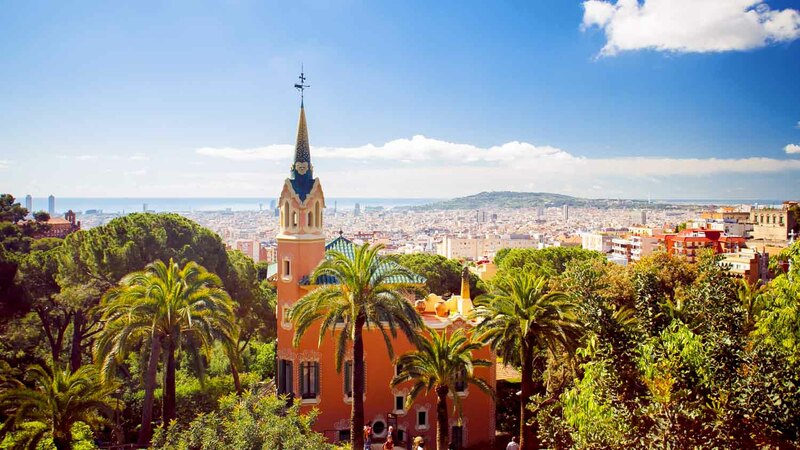 Only the 'k' in Barcelona's enchanting Park Güell reveals that it was inspired by England's garden city movement. The rest is Gaudí in his element! It's bursting with the great architect's trademark iconography, but here are the facts behind its best bits! 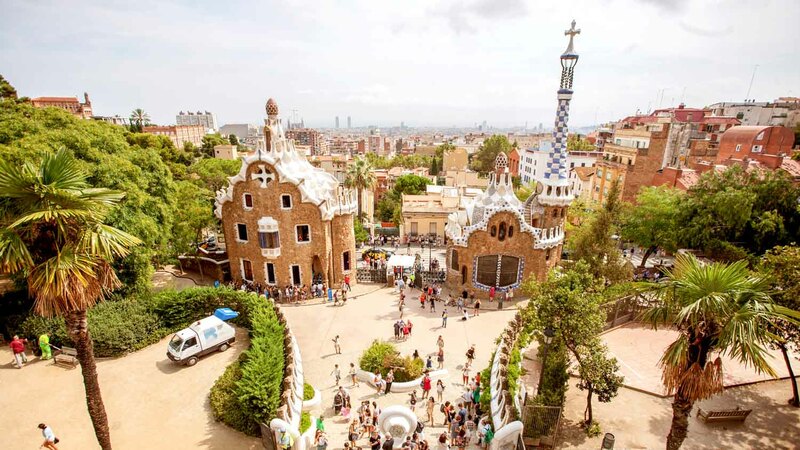 Park Güell was intended to be the center of a residential complex that never was. Though inspired by Greek temples, the market hall also honors the Roman road that once ran nearby. Straddling the main stairway, "El Drac" is rich with religious connotations from Eden to St. George. The fountain it guards, however, suggests Python, the dragon of Ancient Delphi! Only two villas were completed of the planned 60. Gaudí lived here himself between 1906 to 1925 after it failed to attract buyers! It's now home to a collection of his designs, and needs a separate ticket to visit. Overlooking the city, the serpentine bench covered in mosaics was hailed by none other than Salvador Dalí as a precursor to the Surrealist movement. He should know! 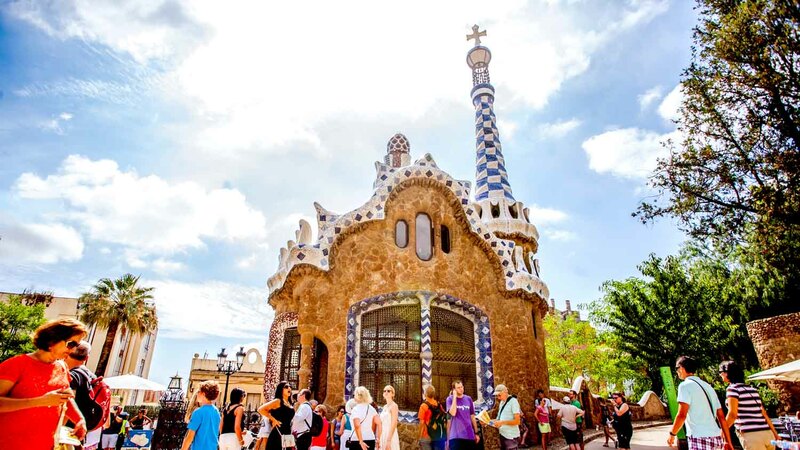 Religious and political symbolism aside, the upside-down cups adorning one of the gingerbread-esque houses at the main entrance are said to represent Gaudí giving up coffee! 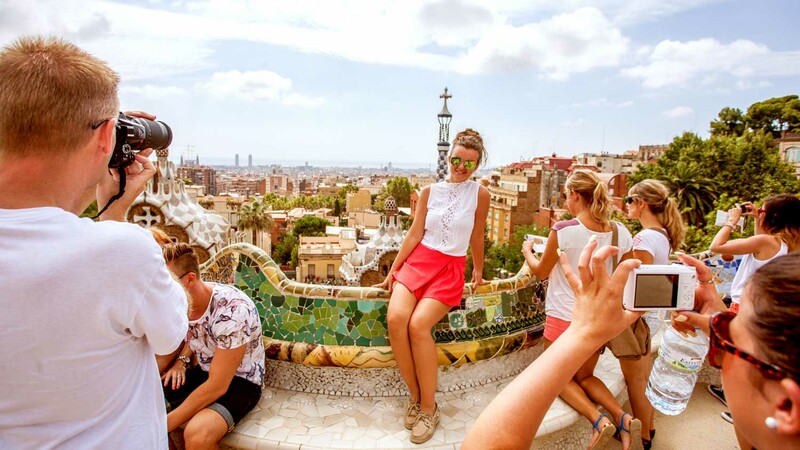 If your stay in Barcelona is brief, you will only need a couple of hours to see Gaudí's monuments. However, bear in mind that the entire park is much larger than the "Monumental Zone" discussed here, and anyone keen on the great outdoors could easily while away an afternoon taking a walk across its scenic corners! 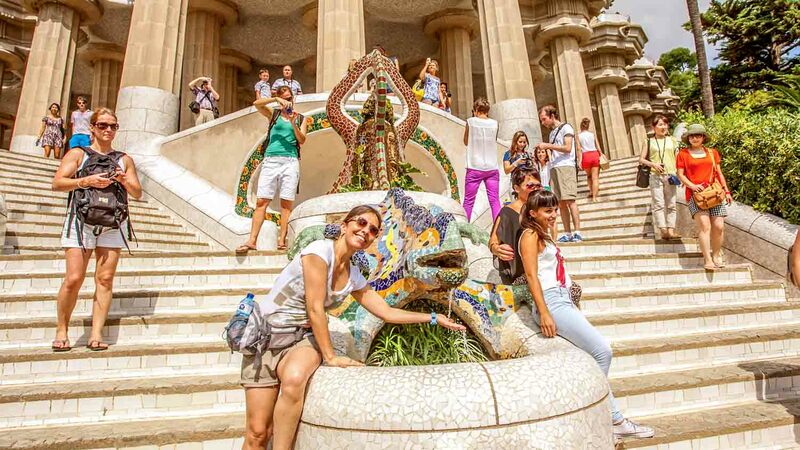 Park Güell's Monumental Zone is open from 8:00 AM to 9:30 PM during high season (May 4th to September 6th); 8:00 AM to 8:00 PM from March 29th to May 3rd and September 7th to October 24th; and 8:30 AM to 6:15 PM through winter. Only 400 visitors are allowed in every half an hour, so consider booking your tickets online in advance! The hill is a bit of a climb, but there is also an escalator (Baixada de la Gloria). It is accessible by metro (20 minute walk from Lesseps station), taxi or buses 24 and 92, which stop by one of the entrances to the public area of the park. Opening times vary by season, so we suggest checking online before you visit. General tickets cost €8 for adults at the door. 20 minutes walking up the hill from metro station Lesseps, or buses 24 and 92 stop by one of the entrances to the public area, where you can walk to the Monumental Zone. Only 400 visitors are allowed into the Monumental Zone every half hour! Don't forget sunscreen and some good walking shoes!